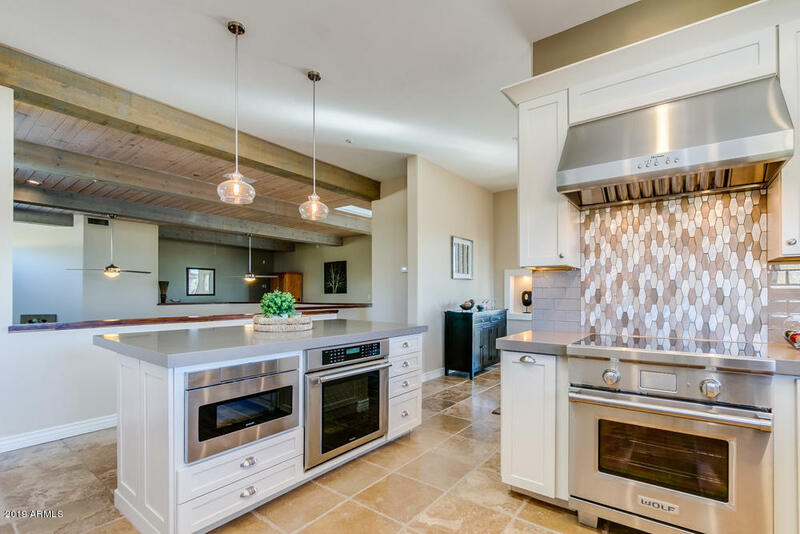 All TROON FAIRWAYS homes currently listed for sale in Scottsdale as of 04/24/2019 are shown below. You can change the search criteria at any time by pressing the 'Change Search' button below. "Stunning Mountain Views from every room of this Lee Hutchinson custom designed home. Located on an elevated half acre golf course lot. The open concept floor plan features a Chef Designed Kitchen with Subzero, Wolf and Asco appliances. The expansive master suite includes a private office and 256 sq. ft. closet. Two ensuite bedrooms with a bonus room and private patios are at the opposite end of the house. 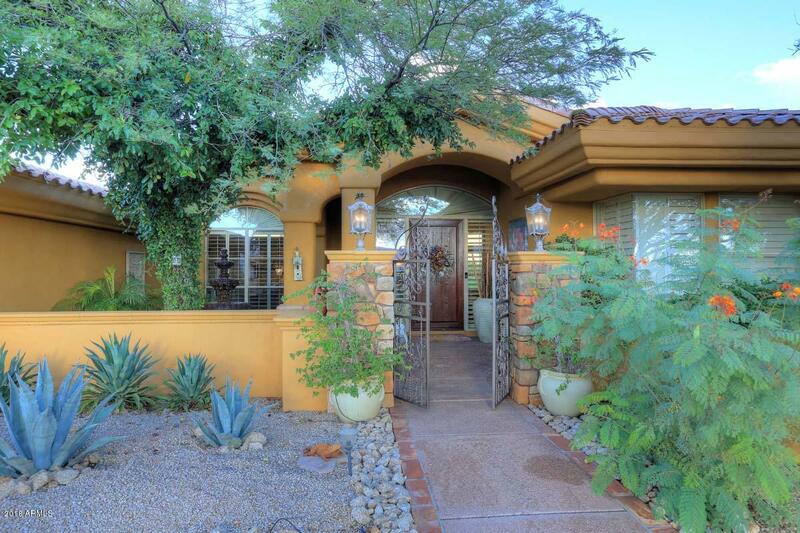 Enjoy the finest in Arizona living on the patio with a custom built outdoor kitchen which i"
"Huge price reduction! This magnificent contemporary home in Troon Village has a loft feel and features tons of natural light, impressive wood ceilings and beams. Unique and cleverly architectured open floor plan includes high end kitchen with commercial appliances and quartz countertops. Master chef's kitchen, large living room, dining room and 3 bedrooms, baths all on main level. 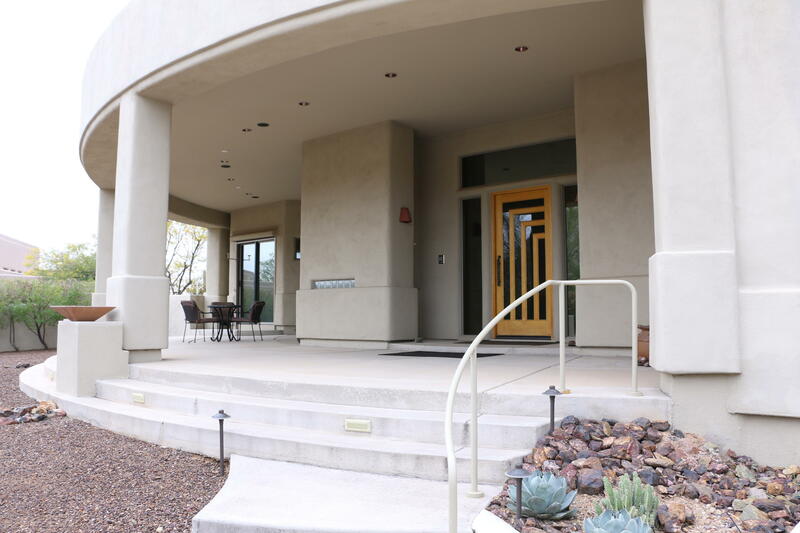 Open lower level features den and game room, creating privacy within an open floor plan perfect for kids or entertai"
"This gated Troon home is surrounded by great mountain views with a front that boasts a long, wide, curved veranda entrance. Entering, one sees stone accent columns w/24' travertine floor tiles throughout. It has an open, uncluttered floor plan that is great for entertaining. The kitchen has custom cabinets, granite counters, center island sink area and top of the line stainless appliances. The master bathroom contains 2 separate vanities and an exercise room. There is a 3 car garage with fi"